So this doesn't exactly count as a healthy meal, but it was what I had on hand last week so I threw it together. My girl Natalie swears by Gwennie's Roasted Cauliflower and Chick Peas Recipe, but I don't like mustard, so I improvised. By improvised I mean skipped the entire dressing part and just added olive oil. So, all I did was rinse a can of chickpeas, chop up some cauliflower, toss it in olive oil, salt and pepper, and pop it in the oven on 400 for 20 minutes! I must say, it was pretty darn good. It will definitely be on my lunch repeat! Now here are a few other healthy recipes that I am dying to try!! That looks delicious; can't wait to try it! 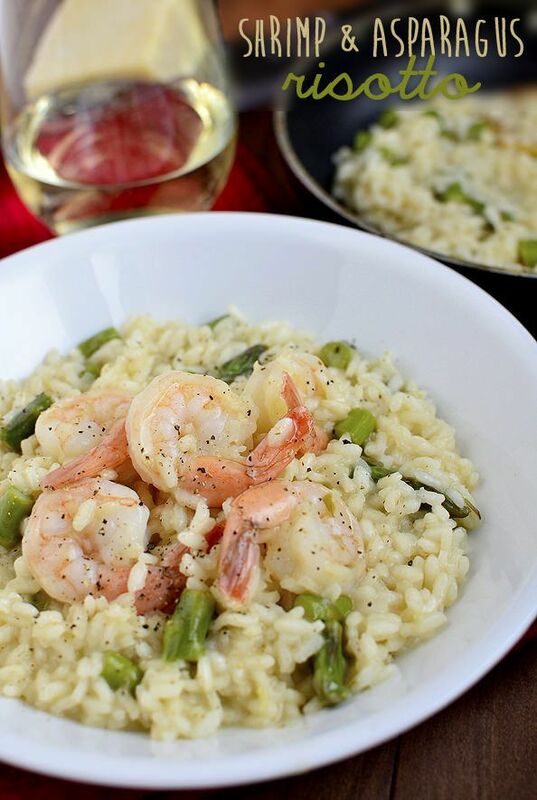 And the shrimp and asparagus risotto is calling my name! That risotto looks DELICIOUS!! You need to make it and enjoy it for me -- hubby doesn't like risotto, so we wont be having that for dinner haha! 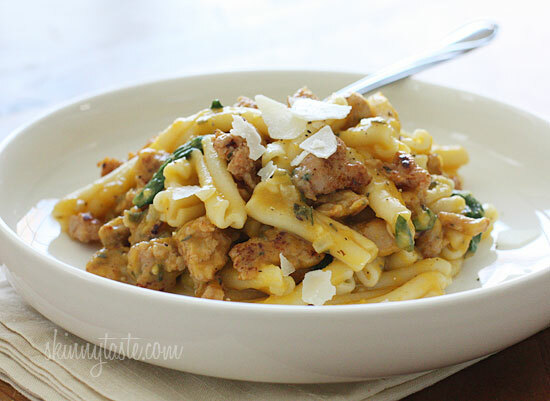 I'm sure that butternut squash pasta is yummy too - you can't go wrong with any recipe on Skinny Taste! I make something similar with curry powered and rep pepper flakes for some spice. So good. No mustard sounds like it would still have the perfect flavor - great idea with just the olive oil! Gwyneth's cauliflower recipe is my absolute FAVORITE! I'm not a big fan of mustard either but it's such a small amount it doesn't really taste like mustard, you should try! !